It’s so hard not to want to pop a pimple when it’s just sitting there on your face, staring at you every time you look in the mirror. It’s honestly best if you just leave the pimple alone, to heal on its own, but we at Acne Skin Site rarely hear of people waiting patiently to let their pimples go away without doing some kind of “surgery” on them. When you pop pimples on your face, you will almost always break out more in that area because the fluid from the pimple that you squeeze will seep into other pores in your skin, thus leading to more pimples. You also risk serious scarring and possible infection if you don’t have clean hands or fingernails when attempting to pop a pimple. It’s important to note that you should NEVER attempt to pop a cyst or nodule. An appointment with your dermatologist is needed for this type of lesion, and more than likely he or she will use a cortisone injection to bring the swelling down. Only pop a pimple if it has formed a white head at the surface of the skin and it’s best to pop after your shower or after cleansing your face. 1. Disinfect a sewing needle with a sharp point with some rubbing alcohol and a Kleenex or q-tip. 2. Gently prick the sharp point of the needle into the head of the pimple. 3. Using your fingertips (not your fingernails) or two q-tips, gently squeeze the sides of the pimple, forcing the puss to come out. Don’t force anything to come out if it won’t. This is when blood or clear fluid will come out and can make your pimple turn into an infected cut on your face, possibly causing severe scarring to be left on your face. 4. Dab a Kleenex on your popped pimple for a few minutes after popping, to collect any extra fluid that may come out so it doesn’t seep into other areas of your skin. If your popped pimple becomes a cut from not listening to our advice above, use a little Neosporin on the affected area once daily to stop any infections from occurring and to speed the healing process. 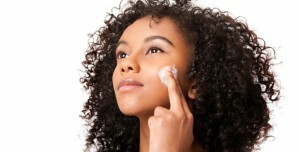 Make sure to wash your face morning and night and to follow with an oil-free moisturizer. But again, if possible, avoid popping at all costs! Hey there, pls I’ve had pimples since I was 10 nd am 24yrs nau. Wen I was abt 19 I started using d hot water method. I would deep a towel inside a bowl of hot boiling water and place is all over mi face, it actually helped me because d pimples gradually started decreasing but. The pores on mi face is now so much. I have huge pores on my face and I think its as a result of the hiot water towel method I adapted. Pls any suggestion as to wot I can do to stop this? Thank you. Why don’t you try using a toner? A toner closes and tighten up pores! Had something like a cyst or nod tried to pop it and my left side is swollen. Wht shud I do? I knew I didn’t have to pop it but I couldn’t leave it staring @ me. Pls help! i have brown skin,please help me on how to get rid of dark spots left by pimples. Help! I’m 16 years old,and I have severe acne. I try a lot of brand cream (one of them is Benzac, benzoyl peroxide) and I also tried Cethaphil and tea tree oil. But my acne is not gone and its getting worst. can I ask help from you? or just an opinion how to get rid off my acne. I don’t want to tease me because of my pimples. I have dark spot too cause by acne. I really want to know how to get rid of it. Ask your doctor to put you on the mini pill. I swear by it! It clears achne and balances your hormones. I’m 13 years old and i have A few zits on my face, but you can also see all the pores on my face. Also the inner coreners of my nose get very oily and i would like to know if you guys have any advice for me… thanks!